The Fallout series is known for accommodating multiple playing styles, most of which involve varying degrees of strategy. Given the vast array of gamers around the world, it's inevitable that some like to approach titles from a completely different angle - thinking outside the box, if you will. Speedruns and limited violence runs have been around for years. 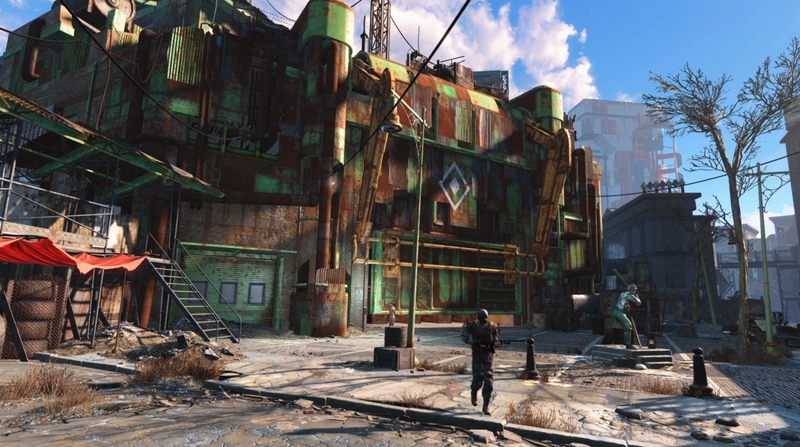 Addressing the latter over the summer, Fallout 4 game director Todd Howard suggested that it'd be virtually impossible to play the entire game without violence as that wasn't exactly a goal Bethesda set during development. That admission, however, didn't stop Kyle Hinckley from trying... and succeeding. As Kotaku accounts in its lengthy write-up on the matter, Hinckley invested several hundred hours into the endeavor (75 of which came in a playthrough that ultimately failed as he backed the wrong faction). Determined to complete the goal, he started again with a new character. The gamer used saves to his advantage (saving before important events) in case someone in his crew racked up a kill, etc. Unlike some other games in the series, companion kills in Fallout 4 count toward your kill count. At one point, the game glitched when trying to pacify a situation which forced Hinckley to take the violent option. Remarkably, he still managed to get the AI to kill itself. Hinckley recorded the entire episode which has been split into 37 videos over on YouTube. I've embedded the finale above which of course, is likely to contain spoilers.